Find Indian Hills, CO Homes for sale. View Photos, Maps and MLS Data Now! You will be so happy you found this home! MLS#2065799. Colorado Home Realty. Close to restaurants, hiking and mountain bike trails, community center, Parmalee Elementary and other local amenities. MLS#7581233. KELLER WILLIAMS FOOTHILLS REALTY. Multiple parcels available see MLS 2592878, MLS 3963200, MLS 7390207 for more information; up to 164 acres available. MLS#9471349. 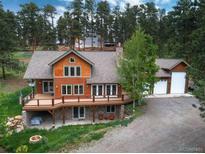 Good Mountain Real Estate, Inc..
Close to Mountain Biking, hiking, and fishing. MLS#4457487. A-Squared Real Estate. Additional 40 acres attached to property for $450,000 MLS 7390207. MLS#3963200. Good Mountain Real Estate, Inc..